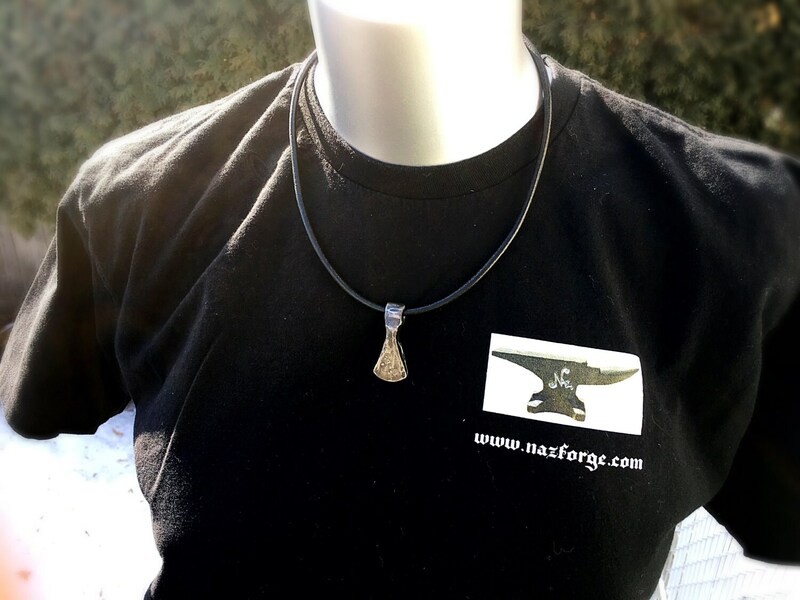 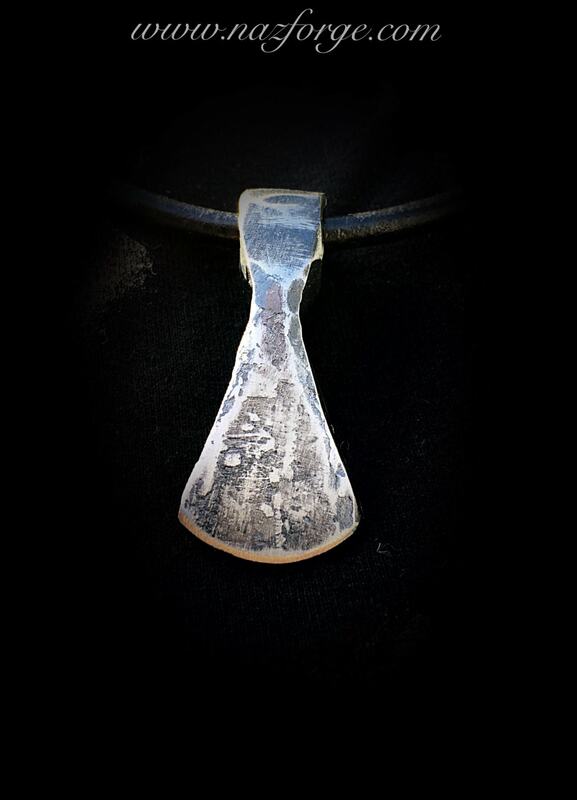 The pendant is heated in the forge to approximately 2000 degrees, then formed on the face of my anvil , giving it random strikes with my forging hammer. 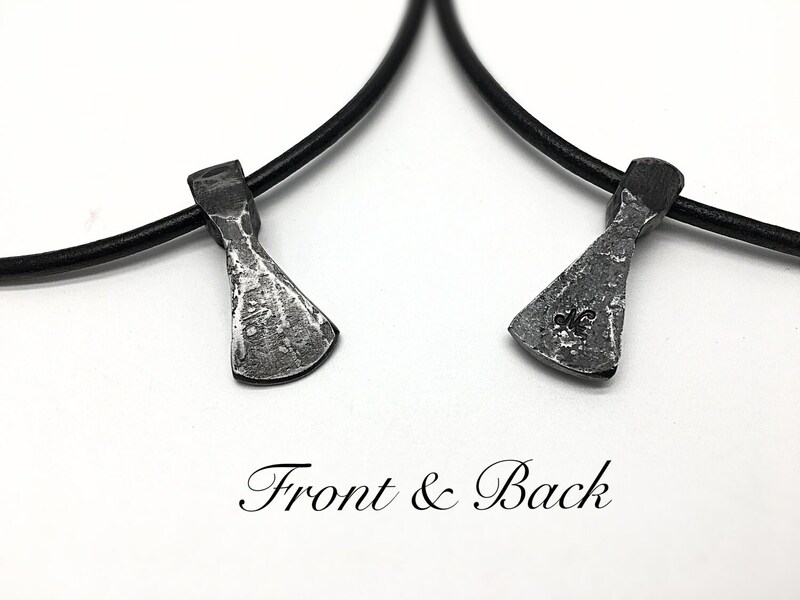 This also adds to the originality of the pendant making each one unique. 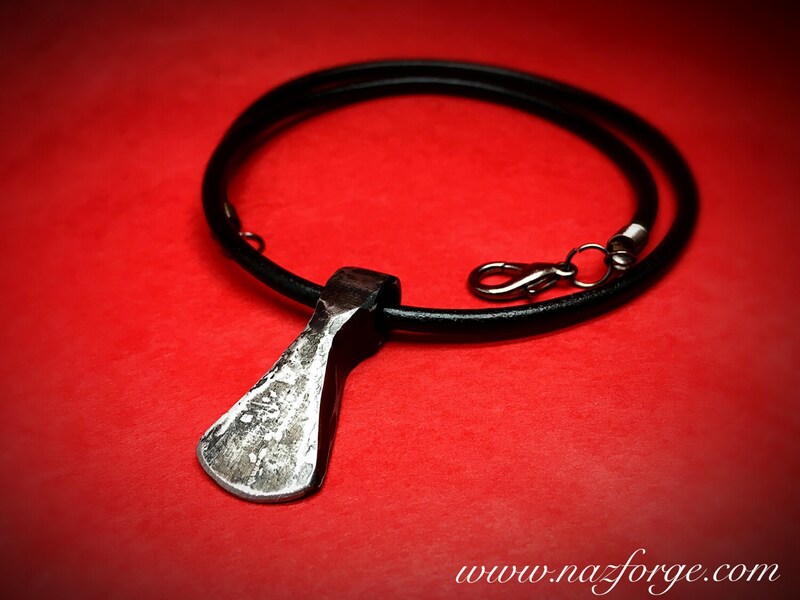 My trademark logo "Naz" is stamped on the backside of the pendant. 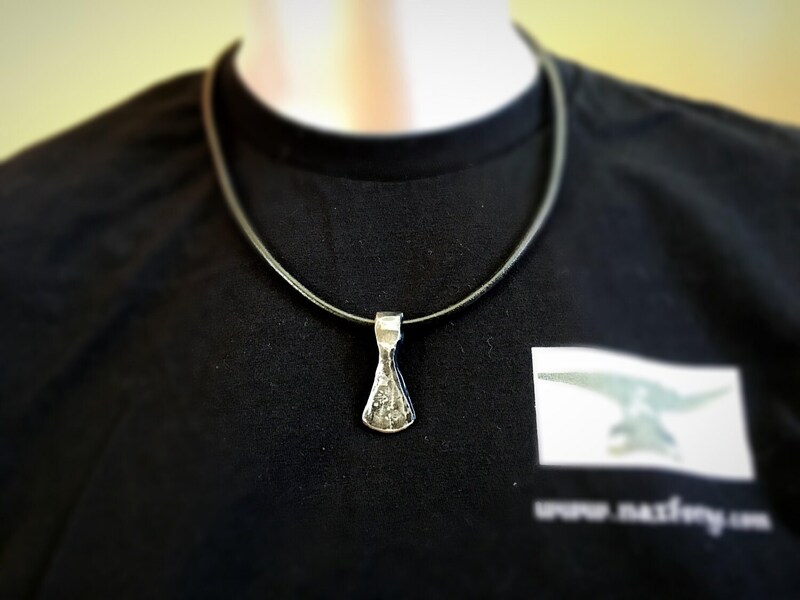 Size of pendant is approximately 1 5/8" high by 1-1/8" wide.